Because beer is the only thing that can cure polar vortex fatigue. By now, everyone knows that beer is the only thing that can cure polar vortex fatigue. 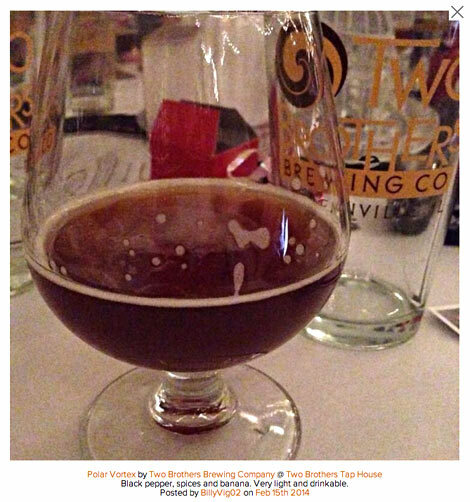 Two Brothers Brewing in Warrenville, IL has reacted to the Arctic cold plunges in the U.S. by releasing a dunkel lager dubbed Polar Vortex. According to Beer Street Journal, the dunkel will be released in 22oz bombers on February 23rd.